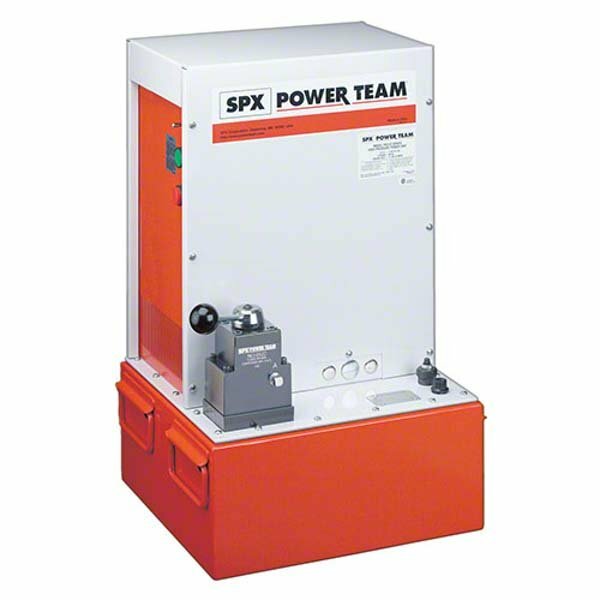 Electric/hydraulic pumps up to 1000 tons, deliver up to 16 l/min of oil at 15 bar and 5.6 l/min of oil at 700 bar, used with high tonnage double-acting cylinders for either single or multiple cylinder applications. **Solenoid valve with remote control. † Usable oil is calculated with oil fill at recommended level at 57 mm below cover plate. †† PE400 series available in 220/380V, 50Hz and 460V, 50Hz. ** Solenoid valve with remote control.